Do you know the most effective and efficient business model to achieve the highest level of efficiency at the lowest cost in payroll processes? 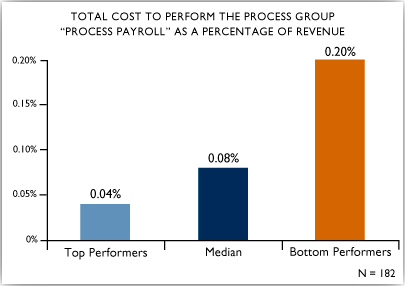 Should payroll be outsourced? Find out by completing the Payroll Open Standards Benchmarking Assessment. APQC’s research extends beyond basic cost and personnel questions to examine business models, use of technology, and business processes employed by leading organizations.